The City of Guelph is renowned for its history in Southern Ontario. Nicknamed “The Royal City,” it is home to the Church of Our Lady Immaculate, the John McCrae house, and many other beautiful vistas. 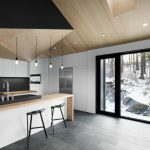 For those living in Guelph, the time may come when your home will be in need of improvements to help make it last and remain a part of the cityscape. When that time comes, turn to DeVrye Renovations! Basements and kitchens are two of the busiest places in any household. 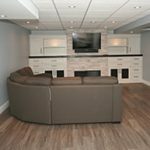 Our basement and kitchen renovations are perfect for any Guelph home in need of help on the inside to strengthen or repurpose their space. This results in a better room with better uses and creates a long lasting, refined look. The outside of a house is just as important as the inside. Outer surfaces can wither or crumble, or maybe your family is in need of a bit more room. 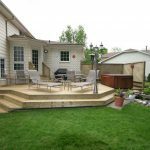 Whatever the case, DeVrye Renovations offers deck and addition design services to tackle any outdated exteriors and home solutions for growing families. Now you can enjoy your home’s surroundings too! DeVrye Renovations is located in Kitchener-Waterloo and we have had the pleasure of renovating over 1,000 homes in the area over the past 20 years. Our team of professional craftsmen approach each task with care and precision to ensure great results with minimal inconvenience along the way. If you would like to get started on a renovation project or learn more about us, do not hesitate to contact us! 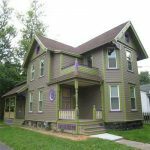 Sometimes a renovation can go a long way. By renovating, you can add value to your home for when you sell it in the future as well as enjoy the finished product. DeVrye Renovations is dedicated to giving you and your family the best renovation experience in the K-W region and surrounding areas. Our professional craftsmen can help you realize your renovation dreams with a quality touch, non-intrusive work, and a clean work space to reduce any stress. Our services cover a wide variety of renovations, but if you have a custom project in mind, feel free to contact us! We are always willing to help.